He says little has changed in the music world since he started out, in that "20% are very interested in new things, 50% can be persuaded and 30% are in their coffins before their time. It is not a matter of good times or bad times. You always have to make an effort and you always need a strong personality to get things done. If you are timid and unadventurous, no matter how good your ideas, nothing happens. Me, I'm not a shy man. I am willing to have a go. 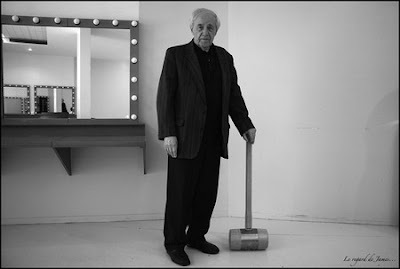 Then it is for others to judge its worth" - unmissable, and original, Pierre Boulez in today's Guardian. Lots more on the bogeyman of twentieth century music here.